As Kara Swisher reported late last night and confirmed this morning, Yahoo has named PayPal President Scott Thompson as its new CEO. 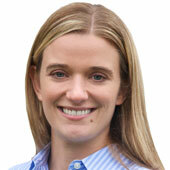 Thompson, who is currently in charge of one of eBay’s fastest-growing divisions, PayPal, will start at Yahoo next week. This morning, we got our hands on the internal memo that eBay’s CEO John Donahoe sent out to the troops. In the letter, which is posted below, he called the move a “shock” to him and the company. But Donahoe has known about Thompson’s talks with Yahoo for a while, but was apparently surprised that he had been hired and only found out yesterday, as he noted in the letter below. Thus, Donahoe will fill Thompson’s position temporarily, until a transition plan is in place. Thompson’s departure is notable because he was arguably leading one of the more important initiatives inside San Jose-based PayPal. Well, apparently, he’s found something larger to bite off. 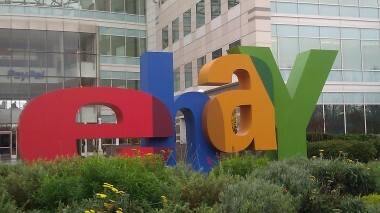 Thompson’s departure will likely be seen as a significant blow to eBay. At the time of our conversation, Thompson had just addressed 150 merchants at a PayPal event in Los Angeles that included big names like Home Depot and Sports Authority. He spent the week convincing them that PayPal was their next big partner for online and in-store payments. Over the past year, eBay has been restructuring its core shopping experience online, while nurturing its rapidly growing digital payments business. The timing couldn’t be worse. Right as mobile payments is destined to take off, PayPal has a magical combination of assets, consisting of contacts with the retailers, the technology, and an impressive base of customers already using its services. At the same time, a host of other challenges are going after the space, like Google, the wireless carriers and the traditional payment companies. PayPal has also struggled with retaining top talent, losing two executives to Google, so Thompson’s departure won’t help its reputation in that department. This morning, eBay’s stock is trading 3.4 percent lower at $30.23 a share. As you may already have seen, Yahoo! announced this morning that Scott Thompson is joining the company as CEO, effective immediately. Scott informed me Tuesday afternoon, saying that despite his passion for PayPal, this was an opportunity he felt he had to take. I know I speak for everyone in wishing Scott the best. I will serve in the interim role as President and will be meeting with the PayPal leadership team this morning to plan a seamless transition. And while I’m sure Scott’s decision is a shock to many of you, as it was to me, there is one thing I am certain of: PayPal has an enormous opportunity in front of it and we will not slow down. We will not miss a beat. And we will continue driving the incredible momentum that each of you has helped to create. PayPal had an outstanding 2011 and a strong close to the fourth quarter. PayPal’s vision is clear. Our strategies are set and we have a strong, focused leadership team in place. And across PayPal, we have you — an incredibly talented team, committed to creating the future of money and changing how the world shops and pays. Let’s do it, and take this special business to the next level in 2012 and beyond.